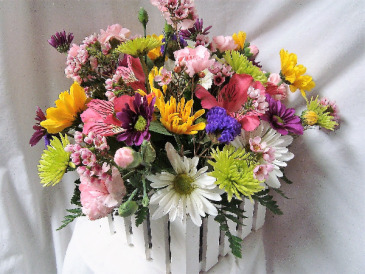 &QUOT;WOOD PICKET FENCE ARRANGEMENT&QUOT; CUTE CENTERPIECE! 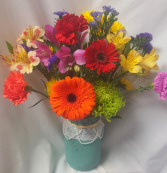 LONG LASTING MIXED COLORS ARRANGED! 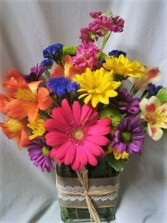 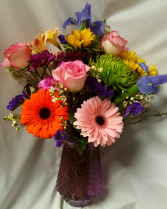 DETAILED CUBE VASE....FILLED WITH SEASONAL BRIGHT FLOWERS.